November 14, 2009, The European Aviation Safety Agency (EASA) has approved all Airbus A330 models for ETOPS (Extended-Range Operations for two-engined aircraft) "beyond 180 minutes." 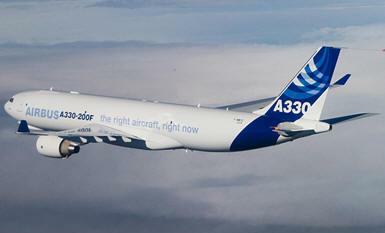 This award makes the A330 the first aircraft type to receive such approval, either from EASA or the FAA. The new capability will be available as a customer-selectable option which extends the diversion distance potentially up to 1,700 nm. This distance corresponds to a maximum ETOPS diversion time for the A330 of approximately 240 minutes (at one-engine-inoperative speed under standard conditions). Operators with two-engined aircraft who choose this option will now be able to serve new routes which are presently not flown within the existing ETOPS rules (i.e. up to 180 minutes diversion time). For the A330, examples include new routes over South Atlantic Ocean, Mid- and South Pacific Ocean, and Mid-Indian Ocean. Operators flying on existing routes will benefit from the new regulation, since it will allow them to fly more directly and eco-efficiently. Some estimates show a fuel saving potential of up to 10 percent for some long range routes (with consequent reductions in CO2 emissions).